Schreibeis Plastering is a Cincinnati plastering contractor and our company was established in 1955. We install and repair plaster. We are a family owned business that offers residential and commercial services. Schreibeis Plastering is a residential and commercial plastering contractor that serves Cincinnati and the North Kentucky area. 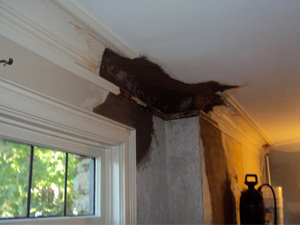 Our Plastering services include new plaster construction, ornamental plaster, and plaster patching and repair. Through the decades Schreibeis Plastering has done work on countless structures including homes, highrises, churches, schools, hospitals, museums, and shopping centers. Our employees have the experience and integrity to make sure your job is done right. The benefits of a traditional plaster system are unmatched when it comes to sound cancellation, durability, sanitation, and fire ratings. Kelly Plastering installs traditional plaster systems and veneer plaster which is a light and modern way of plastering that creates beautiful, durable, and seamless walls.